First, there was apricot, cashew, and coconut oatmeal. Then, there was raisin, walnut, and flax meal baked oatmeal. Today, I am happy to share my latest fruit/nut/superfood oat concoction: Fig and Molasses Granola. 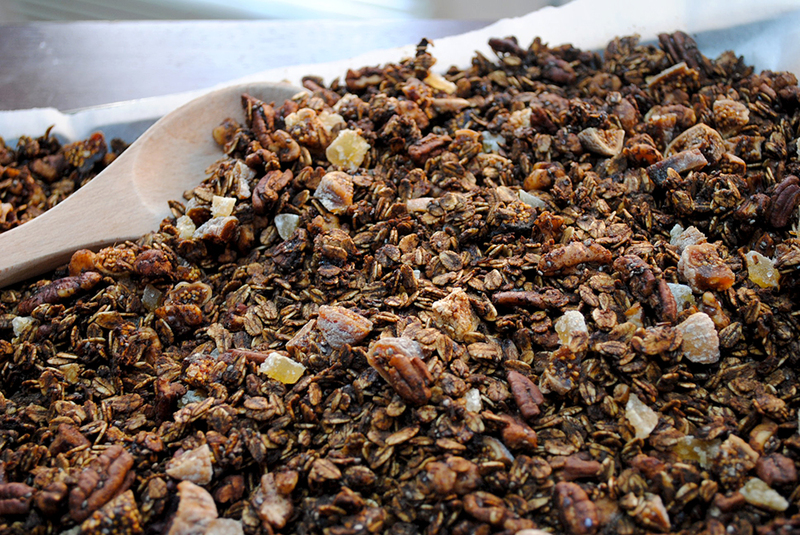 Chunks of dried fig and crystallized ginger dance with chopped walnuts and pecans in this crunchy and not-too-sweet granola, made using The Professional Palate‘s “overnight” method. Let’s talk for a minute about Figs. Regarded by many ancient cultures as sacred, figs were originally grown in southern Europe, Asia, and Africa. Spanish missionaries brought them to North America, and in the U.S. they are mainly cultivated in southern California, though they do grow elsewhere (Charlottesville, VA included!). There are many varieties of figs, ranging in color from deep purple to almost white and in shape from round to oval. Figs are a good source of iron, calcium, and phosphorus. 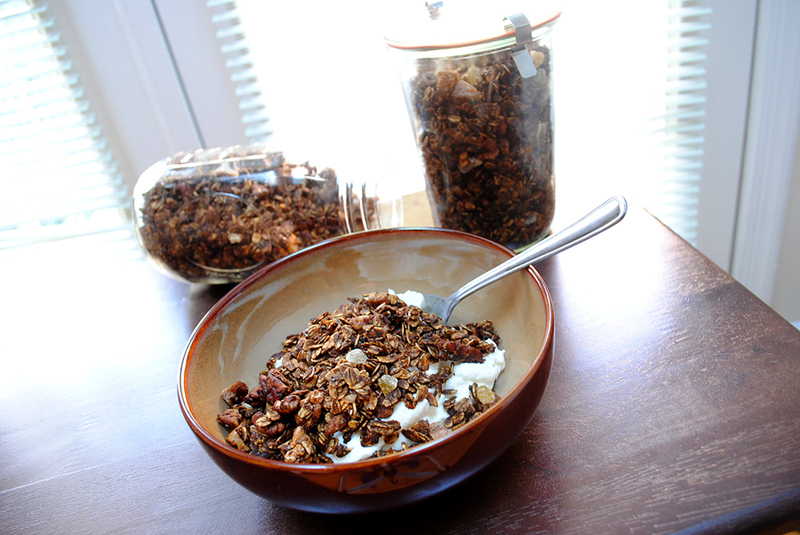 This granola is a great source of iron, as it also includes blackstrap molasses. Molasses is produced when the juice squeezed from sugar cane and sugar beets is boiled down into a syrup from which sugar crystals are extracted. The first boiling produces light molasses, the second, dark molasses, and the third, blackstrap. It is a good source of iron, calcium, copper, manganese, potassium, and magnesium (source). As I have been learning more about the ingredients I have been cooking with, I have been intrigued by the many facets of “food knowledge.” From history and anthropology, to horticulture and nutrition, there is so much to learn about the foods we eat and the way our bodies process them. I would love to hear which tidbits of information resonate most with you all, our lovely readers. 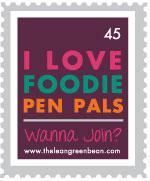 Please let me know if you are enjoying learning about ingredients, and which aspects are most interesting to you. Preheat oven to 275 degrees. Line a baking sheet with parchment. In a large mixing bowl, combine oats, flax, chia seeds, pecans, walnuts, cinnamon and ginger. In separate bowl, whisk together molasses, brown sugar, orange juice, vanilla and oil. Pour over oat mixture and mix well. 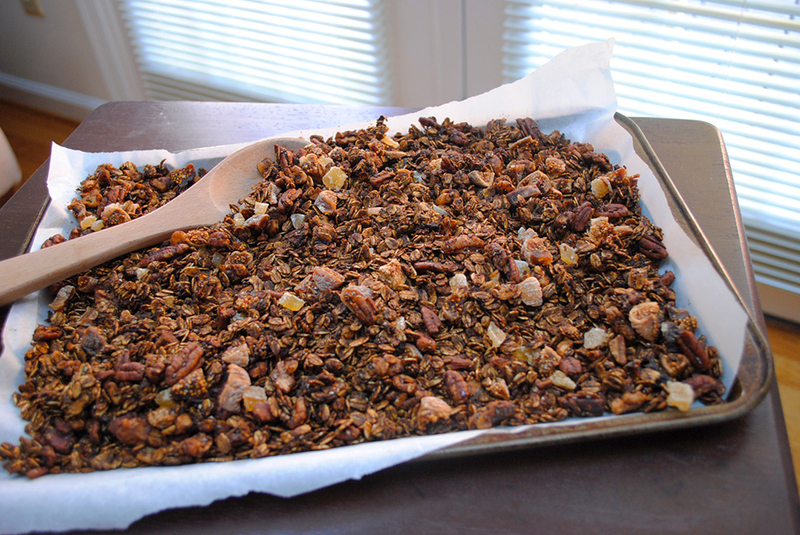 Spread granola evenly over baking sheet and bake for 45 minutes, stirring at 15 minute intervals. Turn oven off. Leave granola in oven. Granola will crisp as it cools overnight. 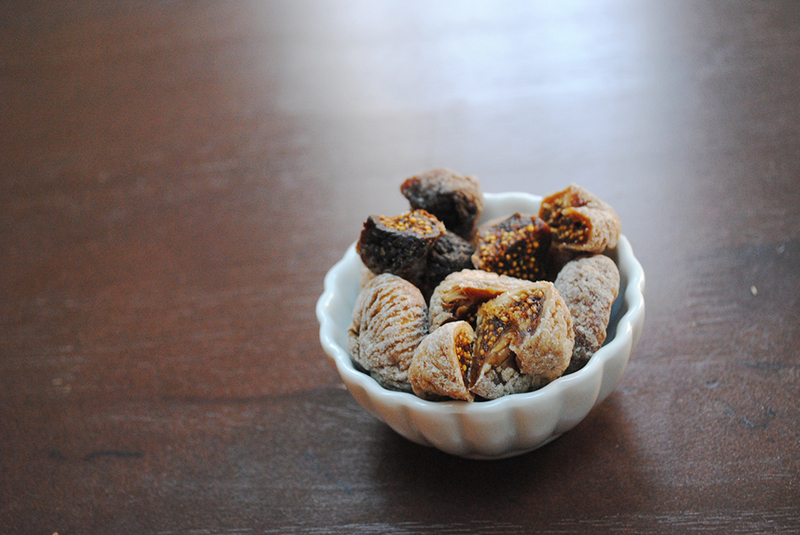 Just before serving, toss in chopped dried figs and crystallized ginger. 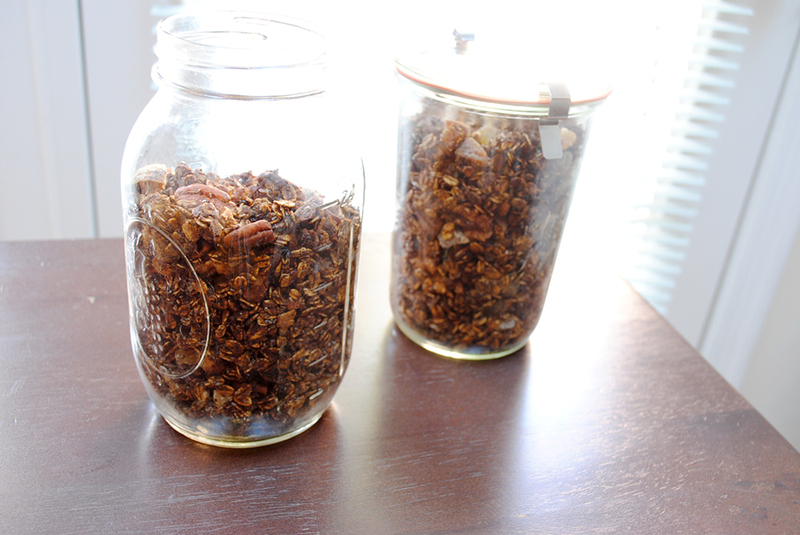 Store granola in jars in the fridge. I have really been enjoying this granola atop a bowl of greek yogurt, chunky applesauce, and sliced banana. The flavors come together so nicely, and the crystallized ginger adds an almost surprising element.